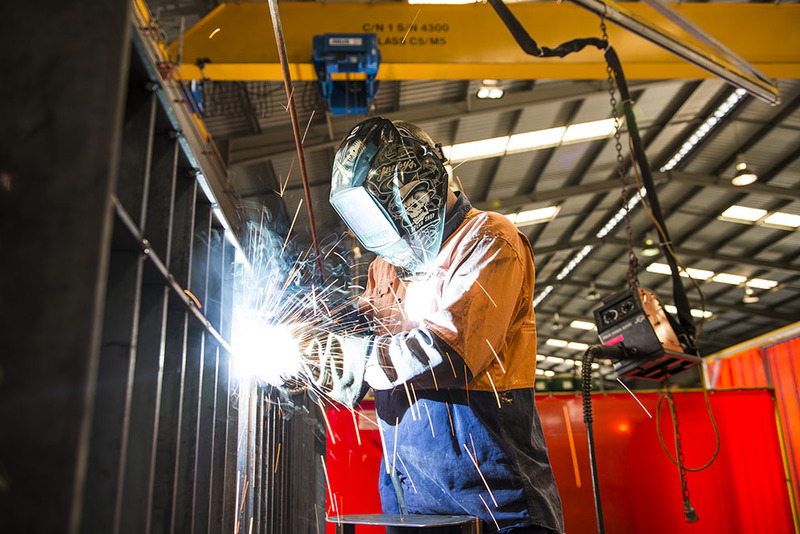 Is your company looking for a reputable company that specialises in welding services? Welding has been around for numerous years. In the early days, fire was the main component used to weld two items together. With the introduction of electricity, the welding industry was greatly transformed. Today, there are basically four techniques that are used for welding and they are: resistance, laser, gas and arc. One of the more popular forms of welding is called MIG welding, which stands for metal inert gas welding. It can be used with materials such as steel, stainless steel and aluminium. This type of welding is often utilised for many applications such as in the construction of ships and skyscrapers and repairs. Although much more difficult and formal, metal inert gas welding is very popular with manufacturers because it is much easier to use and creates a weld much faster. One of the more popular applications of MIG welding involves automobile manufacturers, mining and resources, and building and construction industries. As a matter of fact, it has become the top welding technique used by many industries throughout Australia. As with any reputable manufacturer, the goal is to provide desirable products that are made with top notch materials. These industries regularly make use of metal components and machines in their line of business, involving different materials such as steel and aluminium. And in order to keep costs down, manufacturers must find smart ways to use these materials in processes so that they are durable and yet remain thin enough to be used. Metal inert gas welding makes this possible by taking thin sheets of steel and joining them together so that they are strong enough to be used for various applications. Obviously, for safe machines and equipment, joints must have a strong weld. Kenro Metal Services specialise in welding processes that can make these types of professional and durable welds for you. In addition, they specialise in and provide other services such as pipe bending and plasma cutting as well. Kenro Metal Services is an Australian company that has been in business since 1979. They take pride in providing all types of metal services such as welding and fabrication, bending, punching and pressing. The Kenro Metal team is experienced in many different welding processes, and provides top quality customer service. Count on Kenro Metal Services to ensure that your metal fabrication project runs smoothly from beginning to finish. Fast, efficient and knowledgeable, you will not have to worry about working with a fabrication company that lacks professionalism, skill or quickness. The company can work on small or large products because it has a working facility that is equipped to take on any type of welding job. If you have a project that requires MIG welding, Kenro Metal Services can handle it with both ease and professionalism.